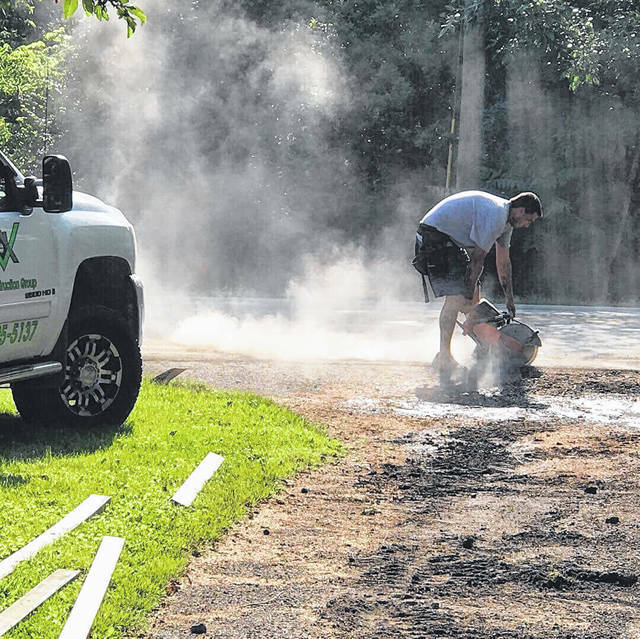 During his second week of working for S5 Construction Group, Cody Bowen found himself working on the driveway of the man who saved his life: EMT Dusty Bainter. When he was 16-years-old, Cody Bowen broke his leg. After screwing a metal plate into his severely damaged leg, his surgeon prescribed Percocet for the pain. One night, Bowen was drinking, took more of his pills than he was supposed to, “and I really liked how it felt,” he said. Bowen’s pursuit of that feeling would dominate his life for the next 16 years. Eventually, the 33-year-old Washington C.H. resident’s addiction would lead him to overdose on $10 worth of heroin, which was likely laced with fentanyl. It would take three doses of Narcan to bring him back to life. Bowen’s story is not unusual. The United States is in the throes of an unprecedented drug epidemic that is killing people every day. According to the Centers for Disease Control and Prevention (CDC), in 2016, 62,632 people died of drug overdoses. Of those, 42,249 overdoses involved an opioid. Bowen’s story offers a glimpse into addiction in Fayette County. In the beginning, Bowen hid his addiction well. He graduated from Miami Trace High School and started working in construction. He got married, and his wife gave birth to twin girls. When they separated, he won full custody of the girls. He fell in love with another woman and they had a baby girl. Bowen, his girlfriend and his three daughters lived together happily for a while. He worked full-time, he coached T-ball, he played with his girls. He was high the whole time. Getting pills wasn’t too difficult. He simply bought them from people who had convinced a doctor to write them a prescription. In Fayette County in 2016, according to the CDC, 99.2 prescriptions for opioids were written per 100 people. The national average was 66.5 per 100. Eventually, Bowen’s addiction began to spin out of control. Soon, he was spending every cent he earned on drugs. In the course of a year, he and his family were evicted three times. “I was working 90 hours a week and I couldn’t even pay the rent,” he said. His girlfriend threatened to leave him if he didn’t get his addiction under control, Bowen said. So, he got on VIVITROL shots. VIVITROL works by blocking opioid receptors in the brain. Essentially, the shots made it so Bowen couldn’t get high on opioids. The shots were effective, but Bowen said he was “still an addict” and he needed to replace the feeling of pills with something. So, he started using methamphetamines. He hid this addiction for a time, even going so far as to incite arguments with his girlfriend to give himself an excuse to spend the night on the couch so she wouldn’t notice that he wasn’t sleeping at all. He couldn’t keep up the charade forever, and his girlfriend left him in April of 2017, Bowen said. His addiction grew worse and on May 10, he attempted suicide. He spent six days in a psychiatric hospital. According to psychiatrictimes.com, there is a strong link between addiction and suicide. In fact, individuals who suffer from addiction are six times more likely to report having attempted suicide than the general public. The minute Bowen got out of the hospital and back to Washington Court House, he borrowed $100 and bought pills. Percocet was still his drug of choice, but it was expensive. It was also hard to find at certain times of the month due to the timing of prescription refills. So, when he couldn’t find or afford pills and his body threatened to go into withdrawal, he bought heroin instead. Bowen’s path from pain pills to heroin is a common one. In fact, according to drugabuse.gov, nearly 80 percent of Americans who use heroin reported abusing pain pills first. Like Bowen, they tend to realize heroin will satisfy their body’s craving for opioids much more affordably than pills will. On Aug. 24, Bowen’s friend bought $20 worth of heroin and split it with him at a local restaurant. They then went to Bowen’s cousin’s house, where Bowen’s heart stopped. EMTs came and revived him with three doses of Narcan before taking him to the hospital. Bowen tried to leave the hospital because he was scared he would be charged with something, as individuals who overdose in Washington Court House sometimes are. Usually, the charge is “inducing panic.” This charge can carry a penalty of up to six months in prison and a $1,000 fine. The ACLU has asked the city to stop charging people who overdose with crimes, but city officials have supported the charges as a deterrent. A nurse convinced Bowen to stay at the hospital. She explained that, if the Narcan wore off, he could overdose again. He was not charged with any crime. While in the hospital, Bowen learned that Children’s Services had met his twins at the bus stop and taken them into foster care. “Literally all I had was them,” he said, his voice cracking. Bowen was one of many parents to lose custody of his children due to opioid addiction. In fact, data from 2016 shows that 68 percent of children’s services cases in the county were related to substance abuse issues. The nurse who had convinced Bowen not to leave the hospital told him, “that if I really wanted help she would get me help,” he said. The loss of his daughters and the near loss of his life were enough to make him want help. Bowen went into residential treatment and stayed there for six-and-a-half months. Bowen had to leave the county to enter residential treatment because Fayette County does not currently have a residential treatment center for men. When he got back to Washington Court House, he found that the drug problem in town had not gotten any better. In fact, he said, “It’s getting worse.” He wanted to do something about it. So, he started sharing his story on Facebook and he organized an event to raise awareness of the problem in the community. He’s currently organizing a second such event. As previously reported by the Record-Herald, the “CommUNITY” event will be held Saturday, Aug. 25 at 1 p.m. to help raise awareness of the opioid epidemic. 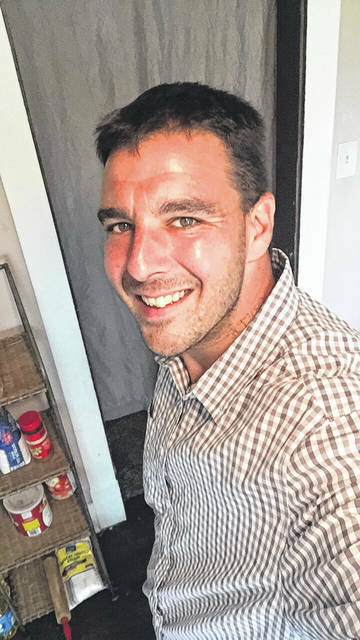 The event will feature guest speaker Tim Ryan, a former addict who now works to save the lives of other addicts and to set them on the road to recovery. The location of the event has not yet been determined. Bowen’s personal sobriety has not spared him from the pain that addiction brings to the city. On June 14 of this year, he said his estranged wife and mother of his twins died of a heroin overdose. Bowen said he knows three other people who have overdosed in as many weeks. Bowen is taking his recovery one day at a time. He stays busy by going to six meetings a week, working full time at S5 Construction Group for “an amazing, amazing individual” named Derek Shull, visiting his daughters, sharing his story, trying to help other addicts, and reading his Bible. He’s hopeful about his future. He’s going to go to court on Nov. 8 to see if he can take his daughters home. “When I get my daughters back, it’s gonna be perfect,” he said. Bowen said he has heard a lot of the debate about addiction with people arguing about whether it’s a disease or a choice. He isn’t so sure it matters.